All businesses, large and small, need high-quality leads in order to thrive. Paid traffic is all well and good, but unless you can attract prospective customers that are interested in buying what you’re selling, you’ll be hard pressed to generate that all important cash flow that all small businesses require. This blog post will discuss the top five ways that you can generate quality leads for your business. There are many ways to gain more business through social media. If your target demographic is adults in the 25 to 65 range, here’s a few pertinent facts. 80% of your target group uses Facebook, 30% use Pinterest, 30% use Instagram, and 28% use LinkedIn. Since we’ll discuss Facebook separately, let’s turn our eyes toward Pinterest and Instagram. We will not include Twitter here, since they announced in February 2017 that they were removing user’s ability to either create or edit direct response campaigns. Pinterest users love coupons, and any ad using the keyword discount or free. Use Rich Product Pins to connect with your audience (pins with more detailed info that can be updated automatically as to prices and availability). Instagram users are primarily there for the images, but you can still create a campaign with lead generation as your objective. Start by setting up a Facebook campaign, but on Placements, make sure to check Instagram. Select Leads where it says Optimization for Ad Delivery. In this instance, select Single Image for your format. Offer an enticement that will make users sign up. When users sign up, they will see a thank you page. 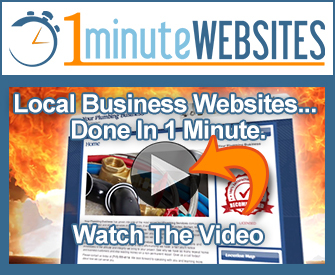 Make sure your website link appears there. Almost 4/5 of adults now use Facebook daily, making it a valuable network for attracting new clients. Go to the Facebook Ads Guide, and select Lead Generation. Click on Create Ad. Make sure the Ad Blocker on your browser is turned off. Set up an ad account. This process is straightforward. Choose what Facebook page that you want to promote, select a Custom Audience, its placement (automatic placements are recommended), and what budget and schedule you desire. A new contender in the quality lead generator business is Xurli’s ringless voicemail. The small business owner records a specific voicemail about their business. The Xurli database contains virtually millions of possible customers in your area. They will then use their proprietary ringless voicemail technology to leave a voicemail message on a potential customer’s phone. There is no ringing to cause annoyance. When a person listens to their voicemail at their convenience, it will generate a quality lead every time that potential customer calls back. 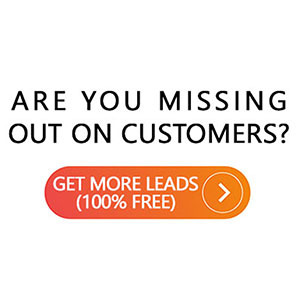 It’s an easy and non-intrusive way to boost your revenue and generate some great high-quality leads. You can generate leads in Google Adsense by signing up with Google AdWords. It will take you through the entire process of generating leads, making an effective direct response campaign, and how to generate new leads by using a sign-up page to gather contact details. It will also instruct you on how to increase your website’s traffic so that you’ll be able to distribute the right information to the right target group. Finally, you can use the report on search terms in AdWords to find negative keywords. PPC stands for pay-per-click (also known as CPC or cost-per-click), and is an online advertising model utilized for directing traffic to websites. In this model you, the advertiser, will pay a website owner or publisher every time an ad is clicked. The important thing to remember here is that your focus should be on generating top quality leads that have the most potential to turn into paying customers. First, review your search keyword terms that people use to find your product. Put in some negative keywords to narrow the search. For example, say you are an optometrist that sells glasses – eyeglasses, that is. It would be very important for you to add in some negative keyword search terms like “drinking glasses”, “wine glasses” or “beer glasses”. See what I mean?